The Tzotzil are an indigenous Mayan people group who have migrated from the central highlands of Chiapas State, Mexico and retain their pre-Columbian language and culture. Their hometowns are poor rural farming communities, and increasing numbers of Tzotzil, especially adult men, have left to seek better economic opportunities in the USA. Upon arrival, the link up with other immigrants from Chiapas who help them to get established. They are often exploited by their employers who pay them less than they pay their Hispanic peers, and they struggle to learn English (and sometimes Spanish). The primary religion of the Tzotzil is a mixture of Roman Catholicism with the traditional Mayan religious practices of their homeland. 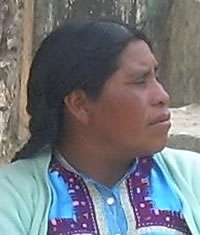 Their primary language is Tzotzil, which does have a translation both of the Bible and of the Jesus Film. Pray for Tzotzil believers to boldly proclaim the gospel to their people. Pray that the barriers of traditional Mayan religion would be broken down. Pray for more workers for the harvest, both for the Tzotzil in the United States, as well as those in Mexico.